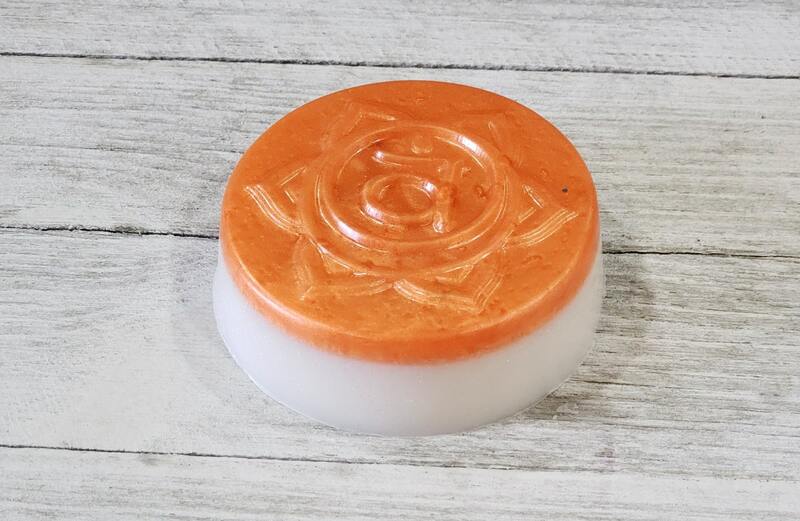 Sacral Chakra Healing Soap. Top is an all natural glycerin. 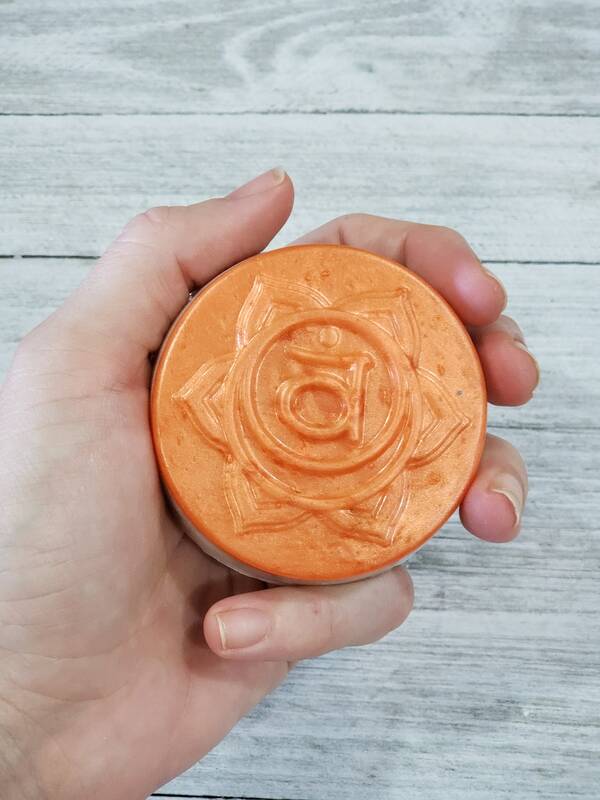 Bottom part of soap is shea butter and scented with Amber Noir (spa scent).